The best of the British built Fleet Air Arm fighters. The Firefly went into service in 1943 and late varients continued in use until as late as 1956. 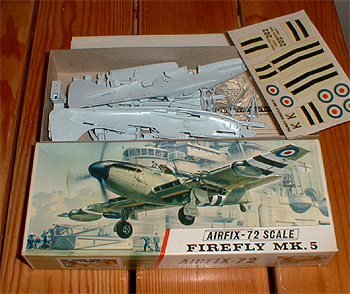 The version chosen for this model is a Firefly operating in Korea and the 71 part kit includes a full range of underwing armament.